Number 8 on Sound & Vision magazine's list of the 10 top movies in 2009 is Slumdog Millionaire. Despite the huge buzz that this movie generated, I have to admit that I was unable to watch it because of the violence and I do, therefore, assume that it is not for everyone. Amazon customer reviews of Slumdog Millionaire were mixed, too. I assume for the very same reason, that this movie was a bit hard to take. In terms of quality of the blu-ray disc, Sound & Vision said, "dazzling visuals and exhilarating sonics" and that the "two extended sequences are remarkably revealing" so from that perspective, it sounds like it is worth checking out Slumdog on blu-ray. 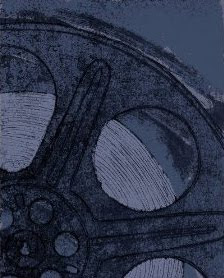 If you are interested in this movie, I hope that I have not put you off and I would love to hear what you have to say about it if (or when) you watch it. Read more about The Best 10 Top Movies on Blu-ray in 2009. 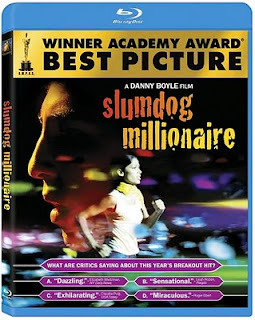 Order the Slumdog Millionaire on Blu-ray movie from Amazon.